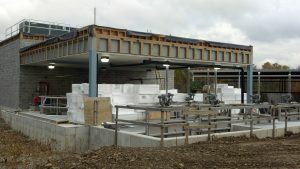 Bassett Engineering partnered with Gwin, Dobson & Forman to evaluate, design and upgrade the Easterly Wastewater Treatment Plant. Bassett Engineering evaluated, modeled and designed the process. 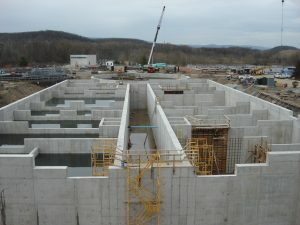 The Hybrid Bardenpho with Step Feed Process was constructed with the flexibility to operate a variety of processes including the Modified Ludzack-Ettinger, Virginia Initiative Plant, Johannesburg, and A2O. Step Feed diverts peak flows to the last aerated zone for contact stabilization. BioWin process modeling used eight years of actual flow and loading data. Bucknell University followed the WERF Research Manual’s High F:M Test Protocol to develop site-specific kinetic parameters. 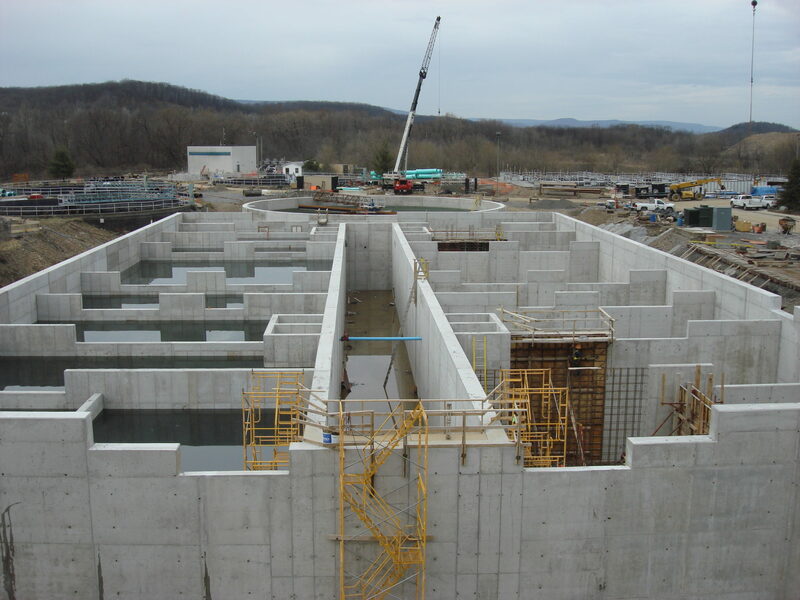 Two additional reactors were constructed and two aeration tanks were converted as biological reactors by adding baffle walls, anaerobic and anoxic zones, submersible mixers and control instruments. Submersible nitrate and mixed liquor internal recycle pumps were set inside the reactors. High-speed Turbine aeration blowers were provided. Carbon can be fed to enhance denitrification and caustic soda can be fed to raise pH but neither has been needed to date, confirming modeling results. Three existing secondary clarifiers and one new were optimized to remove nutrients. Clarification can be chemically enhanced using polymer and alum to prevent solids washouts during peak flows. Neither has been needed to date. 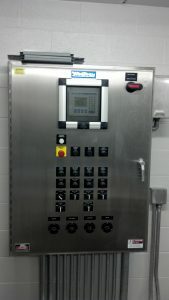 The NRT Upgrade includes a fully automated computer process control system that allows either flow-paced or instrument-based process control of D.O., pH, ORP, ammonia, and Nitrate; plus Mixed Liquor, Nitrate, and RAS pumping. 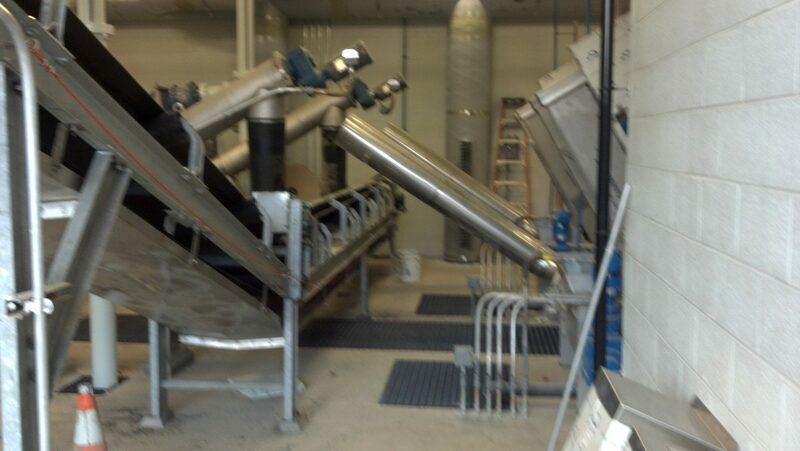 Project included new screening, grit removal, sludge centrifuge, scum pumping, and UV disinfection. 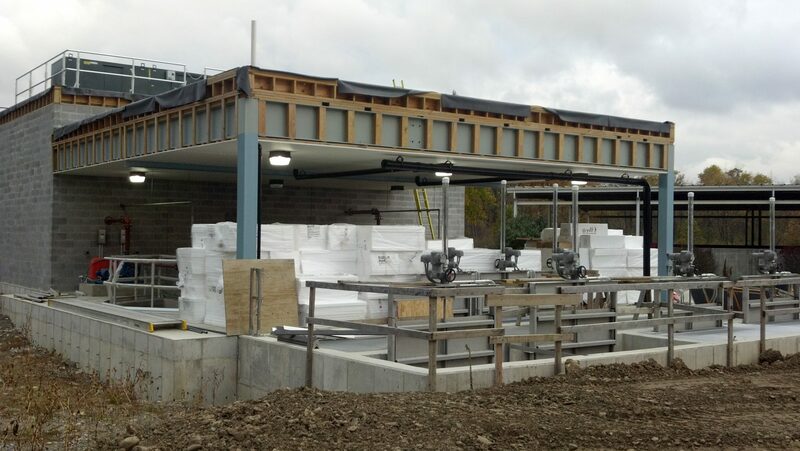 Aerobic digestion was upgraded to optimize nutrient removal.